As we begin a new week and the final one for the month of September, here is piece to arouse the desire to develop a winning spirit. Out of millions, comes one big winner and out of billions, comes a winner who overtakes every other winner in the world. Look at the history of the world, and you will always find few individuals during a certain period who were winners of that time. Lincoln, Gandhi, Churchill, Roosevelt, were all winners of their time. Today we have winners in business field, but no one in the political arena. Mandela can be called as the winner of today’s world in politics. The question is not, who is the winner of a given time, but what makes a winner. Even in a small classroom, one student outclasses every other. In a dance performance, one troupe member performs much better than others and the same is true in movies. We always find one actor who lived the character, while others only acted. 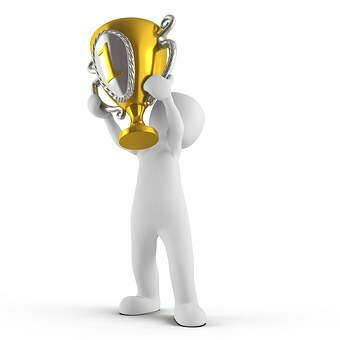 Who is a winner and what qualities are needed to make a winner? Winners come across same obstacles as everybody else. But they take them as challenges. An obstacle can be treated as a hurdle or something that challenges the mind to overcome it. Winners take them as challenges and rather than getting frustrated, thrive on obstacles. Every new obstacle makes them sharper and better, while a large majority surrenders in front of the same obstacles. The winners have focus. Rather than giving away their energy to small ideas, they focus on the larger objective and work towards that. It is like walking on a road. The winner keeps walking, whereas other mortals try to explore smaller streets that connect to the road. Walk towards the goal. Winners are not afraid of hard work. To achieve their objective, they work ceaselessly. There is no word such as tiredness in their dictionary. The objective of working towards the goal gives them so much energy that the tiredness finds no place in their scheme of things. These are some of the qualities that define a winner. Many other qualities add up to make a true winner in the millions. Why shouldn’t all of us become winners?